I think that I’ve read all of Stephen Booth’s novels except Already Dead, the latest. (It’s difficult to keep up!) I’ve just completed The Kill Call, its predecessor. Booth’s a writer I much admire, partly because I like the characters that he’s developed in the Cooper / Fry novels, partly because he describes so well the Pennine countryside in which the books are set. It’s not too far from where I live and I find his descriptions both evocative and accurate. And then there are his plots, which improve with every book. The Kill Call particularly features Diane Fry, his troubled Detective Sergeant, though DC Ben Cooper still has a large role in this book. As in the previous novels, Fry is at odds with most of the people who populate her world and, as has also happened before, Cooper’s well-meaning attempts to help her rebound on him. In fact, I’d say that, if there is a (minor) blemish in this book, it’s that Cooper’s Good Samaritan acts occasionally tip over into soppiness, at least for this reader: Booth is clearly trying to point up Fry’s prickliness, but I don’t think that you’d need to be an outwardly tough, inwardly traumatised woman police officer to find Ben Cooper’s attentions as depicted in The Kill Call irritating, which is a pity, because Booth has got the taut relationship that exists between them exactly right in the previous novels in the series. That is a small quibble, however. 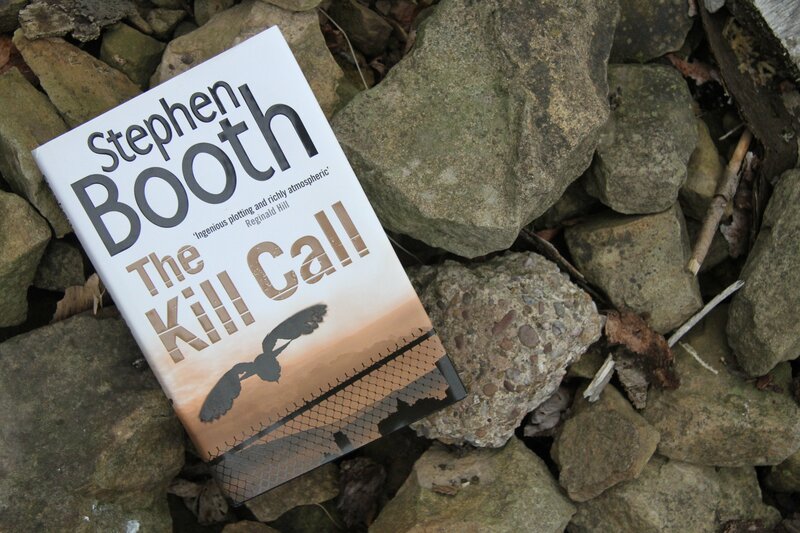 The Kill Call has a great deal to offer, not least its fascinating historical detail. Booth is particularly excellent on the history of the recent past. I hadn’t before come across accounts of the underground nuclear shelters created in the Peak District during the Cold War, but the detail that he writes about them is completely convincing. Booth compares this period of history with what happened in the plague district of Eyam, to great effect. However, the main plot focuses on the legality of hunting and shady dealings in the meat industry, both of course highly topical. The title cleverly refers to both. The first murder victim is a reprehensible man; Booth holds the reader’s interest and sympathy by developing the story of those closest to him. A web of lies, deceit and treachery unfolds; it is complex, but extremely well-handled and perfectly credible. I won’t reveal any more, as I’ve probably disclosed quite enough already! I’d just like to conclude by saying that I think that Booth should recognise that he has taken the ill-starred, prone-to-misunderstanding, tense quasi-sexual relationship between Fry and Cooper as far as he can now without developing it further. One or the other or both should pluck up the courage to explore their feelings more clearly, or one or the other should move on. This may be what Booth has planned. But, as I’ve already explained, I have yet to read Already Dead, so if anyone reading this has beaten me to it, please don’t give me any clues! Oh goodness, another prolific author to try out! I like partnerships in detective fiction. My all time favourites are still Gemma James and Duncan Kincaid, and a certain DI Yates and his sidekick, Juliet are growing in favour, so why not try another pair 🙂 Sounds good, Christina. As always, you give such a balanced review, I feel more inclined to read the book than if it had all been glowing praise.